PITTSBORO, N.C. (March 7, 2018): After the huge success of the pilot program for Top Sportsman in 2017, the PDRA opened Lucas Oil Top Dragster up to include both Elite Top Dragster and the Top Dragster 32 category. 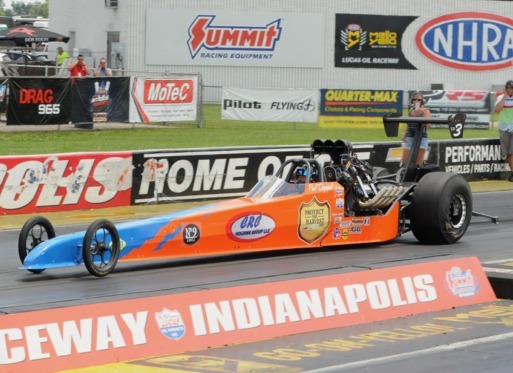 Lucas Oil Top Dragster has been well supported by racers across the country and this program will allow the field to grow without sacrificing the performance and integrity of the category. Lucas Oil will usher Top Dragster into this new era, continuing their multi-year backing of the class. Lucas Oil is known for their unmatched support in motorsports, going above and beyond to support teams, series and events, continually pushing the industry forward. It’s fitting, then, that Lucas Oil will be the name that takes Top Dragster into its next phase. “I am still a big fan of this class,” stated Lucas Oil’s Tom Bogner. “I believe great growth potential as these cars run all over the country. It’s a perfect place for quality lubricants like Lucas Oil. These are big horsepower cars utilizing a variety of power adders, as well as large cubic inch engines. I find it much more rewarding supporting classes that can benefit from our Lucas oil products and Top Dragster is a great fit. Hickory Enclosed Trailer Sales is back again this year to sponsor the Low Qualifier Award in both Lucas Oil Top Dragster and MagnaFuel Top Sportsman. As competitors in the categories, Jeff Pittman and Angie Travis understand the dedication, energy and funds it takes to compete at the top and have chosen to sponsor the Low Qualifier Awards in an effort to give back. They provide the both trailers and motorcoaches through Hickory Enclosed Trailer Sales and Racing Performance Motorcoaches. “Lucas Oil sets a standard for the industry that makes us very proud to be aligned with them,” stated PDRA Marketing Director, Will Smith. “Their products are top notch and their support and presence in the industry is unmatched. We’re excited for this new season of Lucas Oil Top Dragster and hope to see many racers using Lucas products. Although Lucas Oil is synonymous with racing, their products meet the needs for a vast array of lubricant applications. From racing to street cars, industrial to marine, and even to fishing reels and guns, Lucas Oil has performance solutions that work. Learn more at https://lucasoil.com. The PDRA season opener is less than a month away. Find tickets and event information at www.pdra660.com. Can’t make the event? Watch the live stream at www.speedvideo.com.